Eastman Names "2016 National Dealer of the Year" to Advanced Window Solutions for Window Film Excellence. 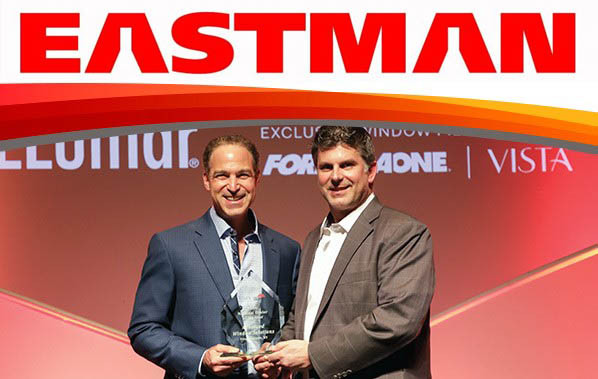 Eastman Chemical Company a Residential and Commercial High Performance Window Films Company presented Advanced Window Solutions the 2016 National Dealer of the Year Award at the annual Elite Dealer Conference in Austin Texas. 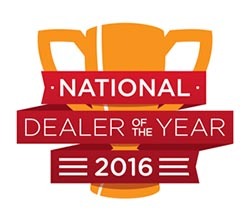 February 27, 2017 - Advanced Window Solutions of Poughkeepsie, New York received the 2016 National Dealer of the Year Award. The longtime business partners Ross Jurman and Marc Vitaliani, accepted the award during the celebration. Advanced Window Solutions was selected from hundreds of dealers based on dealer loyalty, growth and use of Eastman's exclusive sales and marketing programs. Jurman and Vitaliani founded Advanced Window Solutions in 1994. Initially they wanted to focus exclusively on architectural projects - educational, municipal and high-end residential - within the New York, New Jersey and Connecticut region. Through careful analysis and exploration, Advanced Window Solutions began to establish strong relationships with Energy Service Companies (ESCOs). 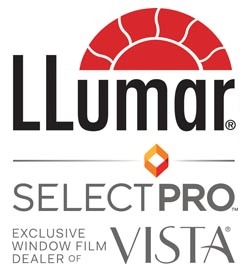 They have consistently demonstrated their value as well as that of VistaTM window films by LLumar® through precise application and use of industry tools such as the infrared camera and energy audit data. As a result of their subject matter expertise, they’ve become the go-to installation team for many ESCOs in their region. "Advanced Window Solutions is no stranger to receiving this honor - it's their third Dealer of the Year award in the last six years," said Darrell Reed, commercial director, North America, Europe, Middle East, Africa and Latin America. "The success they’ve enjoyed is a direct result of their strong partnership, hard work and dedication that they’ve demonstrated to the markets they serve and the loyalty they’ve shown toward the Eastman products they use. We’re very happy to be a partner of Advanced Window Solutions." “The world is constantly changing,” said Ross Jurman, partner. “You can’t wait for the business to come knocking at your door. You have to be aggressive. I think what sets us apart is the ability to form and maintain relationships. I would say this is probably the most important facet to our success. That, and surrounding yourself with positive people. I have always said I wanted to create an environment where people wanted to work. I believe we’ve achieved that.” “I believe the key to our success is understanding your strengths and weaknesses,” added Marc Vitaliani, partner. “Ross and I have been business partners for many years and we are also very close friends. We both have the same goals and most importantly, we communicate about everything having to do with the business. At the end of the day, it’s all about the success of the company!"